It is with great pleasure that we announce to you that we will conduct a Balint group for medical students for the first time in Greece. 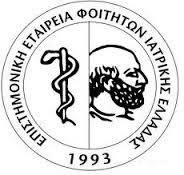 The group will be conducted in the context of the conference that is organized by the Scientific Society of Medical Students of Greece and will take place on Monday 19 October 2015 at the amphitheatre of the Agia Sofia Children’s Hospital at 15:00. The conference’s title is “Me and my patient: on the path of a dynamic relationship” and is aimed at medical students, residents and doctors. The group will be facilitated by Mrs Lida Bitrou and Dr Evgenia Karantoni.